“Train by Cell’s MMS platform allows for greater engagement with our audience through interactive messages, photos and gifs,” said Tammy Blackburn, Director of Alumni Engagement at San Diego State University, a client. Text messages already have much higher delivery and approval rates than emails. Nearly 99% of all text messages are read within a few minutes of delivery, while email open rates hover near 20% percent. That’s why Train by Cell created its successful text message (SMS) communication service and mobile website authoring platform for the workplace. Without requiring the involvement of an IT department, managers can communicate with any audience — employees, trainees, business partners or clients — at any time and wherever their audience is, across the office or across the world. Show your sales team a new product with a photo, demonstrate how it works with a gif or video right in the body of the message. Make sure new hires feel welcome on their first day by sharing their bio and photo with the whole team. Demonstrate operating procedures, congratulate your team or wish them a happy holiday with a fun gif. Traditional text messages can now be supercharged to include more information and content using multimedia messages (MMS). This technology allows you to send images, moving images (gifs)s, video clips, audio, and just as importantly, more than 160 characters. With multimedia text messages, you never have to worry about your recipient getting your long message out of order. 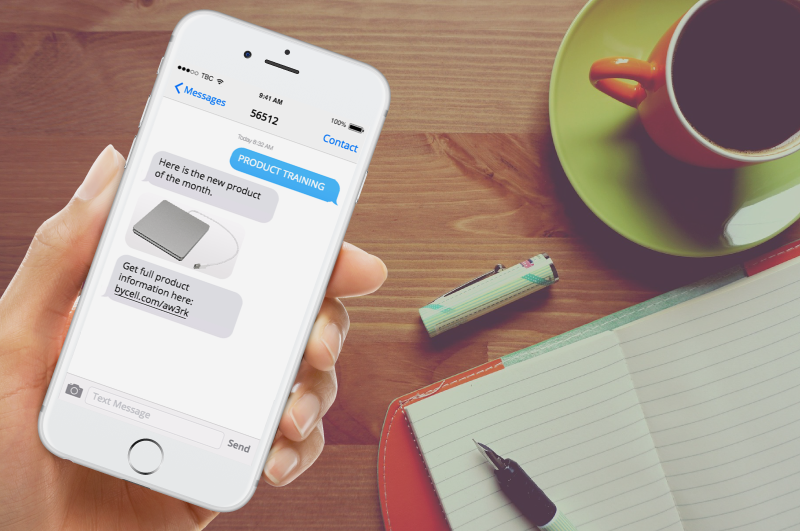 MMS texts convey any message in milliseconds and draw even more attention than traditional text messages. Learn more about multimedia text messages. Register for a FREE 20-minute webinar. Roman is an Editor-In-Chief, experienced journalist, knowledgeable corporate communicator, technical writer and content creator.